An innovative approach towards a marketable lab-on-a-chip system for in vitro diagnostics at the point-of-care is reported. A lab-on-a-chip system called the "Fraunhofer ivD-platform" has been established which opens up the possibility for an on-site analysis at low costs. The system features a high degree of modularity and integration. 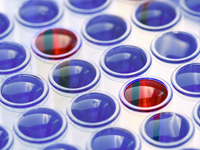 Modularity allows the adaption of common and established assay types of various formats. Integration lets the system move from the laboratory to the point-of-need. 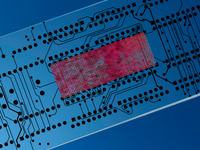 By making use of the microarray format the lab-on-a-chip system also addresses the trend of multiplex detection in biomedicine. The system consists of a credit-card sized cartridge (lab-on-a-chip) and a base-unit. A clinical sample, e.g. a drop of blood can be applied directly to the cartridge and will be analyzed automatically. All biochemical reagents, which are necessary for the assay, are already included in the cartridge. A proprietary pumping system enables an automated processing after insertion of the cartridge into the base-unit. 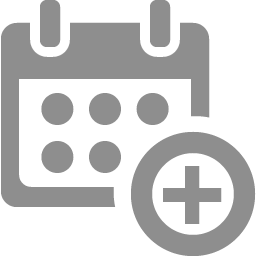 After about 15 min, the results of the diagnostic analysis appear on a display and the physician can directly undertake therapeutic action. The open/flexible character of the ivD-platform, allows the integration of e.g. the following assay formats: - Immunological assays, automated ELISA (antibody - microarray)e.g. CRP-assay- Serological assays (protein / peptide - microarray)e.g. 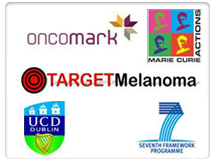 autoimmune-diagnostics- DNA diagnostics (DNA - microarray)e.g. species-identification + antibiotic resistance detection. Other assay formats are possible (e.g. using aptamers), but have not been tested so far. 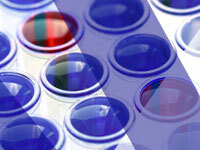 New or existing assays can easily be transferred onto the ivD-platform, which are then ready for mass production.